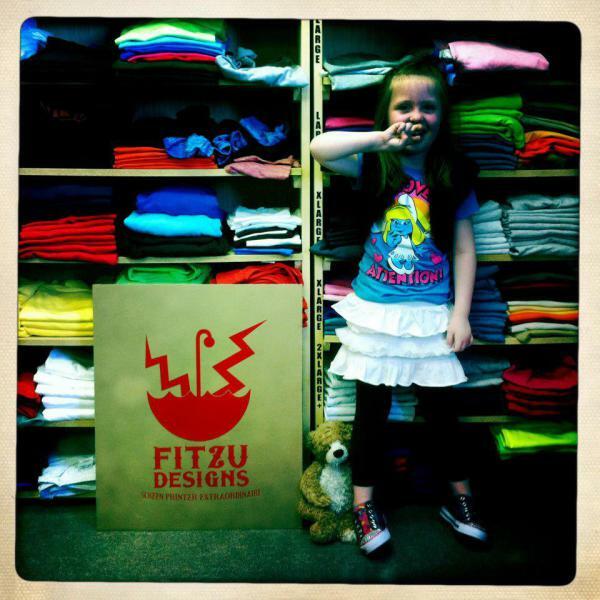 Fitzu Designs was launched in 2010 by Misti Garrison in an effort to combine two things she loves - t-shirts and design. She has almost 14 years experience in making t-shirt designs from scratch and has had her artwork submissions accepted by several online t-shirt companies such as Woot! and Qwertee. Misti does not believe in using pre-made design templates just for the sake of expediting the art process. She wants her clients to know that they have a one-of-a-kind t-shirt that has been tailored just for them. Every design has her blood, sweat and tears in and she wouldn't have it any other way. We are a two-woman operation and we pride ourselves on our customer satisfaction and interaction. April Marion, who has extensive retail experience, is the face of the company. She handles all the sales and can quickly get you on your way to getting your order managed. We are equipped with a fully automated screen printer and a manual press to cover all your printing needs. As one of the premier Ardmore printing companies, we pride ourselves with quality work and superior service. We offer a 100% customer satisfaction guarantee, and that you get your high quality printing and graphic needs as soon as possible. We most cover south central Oklahoma up to OKC and north Texas, however; we can ship any where in the US. This is our most used technique. A spot color is any color generated by an ink (pure or mixed) that is printed using a single run. Spot colors tend to have large open areas as well as lines in the stencil where the ink will pass. There are no dots or line screens. and strong grip. It is specifically designed to adhere to nylon, prevent dye migration, apply to polyester mesh uniforms and low pressure films for outdoor sustainability. We do not create neon or 3D signs, we make yards signs and flat wall signs out of coraplast or Alumilite. We can also create full color banners. Die cutting is a process that cuts each sticker to it's very own custom shape, usually following the shape of the sticker image. For a truly unique sticker die cut is the way to go. 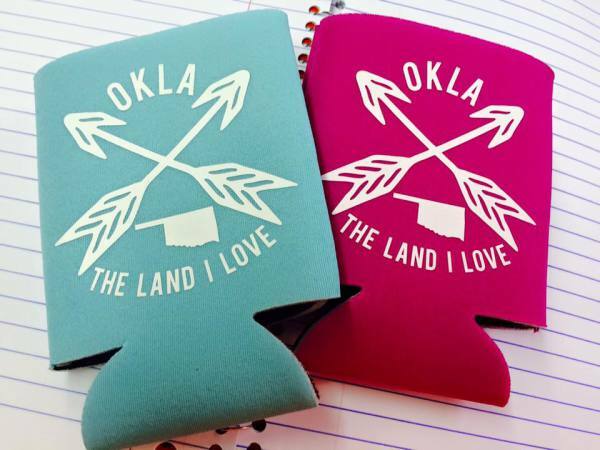 We can make everything from lanyards to can coolers to ink pens. We create all of our artwork in house. We can also create you a logo from scratch and create graphics for web use like social media.